Uganda has over 1200 different bird species making it home to one of the largest diversity of bird species in the world. According to the Bird of Uganda App description on the Play Store, The App allows you to explore about 550 different bird species so far in Uganda and the database keeps growing making it a must have app for tourists visiting Uganda potentially boosting the tourism industry in Uganda. 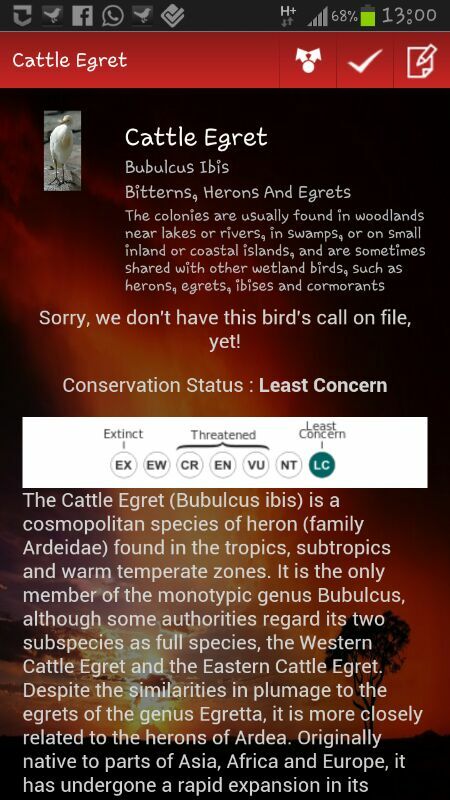 The App claims to have up to 550 different bird species. We found navigation pretty straight forward and categorization of the birds using headers make it easier to land on a particular bird. Also the search box with the auto-completion feature makes finding birds even faster. However, we got a little disappointed on learning that the crested Crane which is also Uganda’s national emblem wasn’t listed! That’s ironic! Okay, I searched and read about the Shoe-bill bird and even saw its photos. Great, but then what? The App won’t tell me which game park I can visit in Uganda to actually go see the bird(s). So the developers need to do more work to add this layer of information which could also be a “call-to-action” for serious users. By adding a “Go Watch it” button where the App user is linked to legit local tour & travel agency, the birder will be able to finally watch the birds in the physical world without much hassle. This could also be their monetization model. The App database isn’t in the cloud but comes bundled with the App itself. While this makes the App size big, it makes sense as those who may happen to be bird watching in say remote game Parks won’t have the luxury of a 3G connection for the App to pull content from a remote database. However, the dark side to this is that you’ve to update the entire App if more content is added to the database by the developer which is simply a menace. 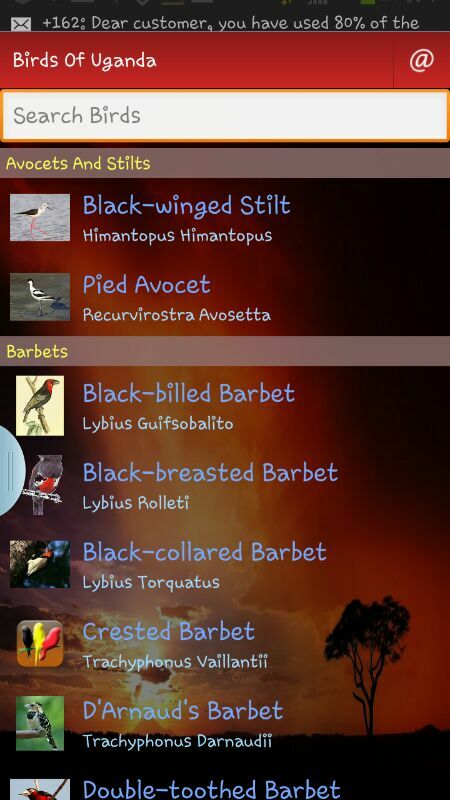 For those who are really enthusiastic about birdwatching, this App had you in mind. The App enables you to geotag or report the location of a bird species via your phone’s GPS by simply tapping on the “locate” button. You can also take your notes about that particular bird and make a “checklist”. However, we didn’t like the fact that you can’t take a photo or video of the bird and share it on Facebook or twitter! The App is free. According to Denis Jingo one the lead developers, they plan to monetize(presumably put a cost for it) as soon as development costs increase. This isn’t good enough. The developers need to find a suitable monetization model for their App. We’ve already hinted on some options above, but also if the App developers owned copyright to the bird photos(which are currently sourced from Wikipedia), they wld probably incorporate in-app purchases where App users can download the bird images for their phone wallpaper. world. Countries with less birds have these tools and attract 10 times more to themselves than us, we cut out the redtape, and place something out there free of charge to promote it. Uganda attracted well over 50 Billion shillings last year from tourism. We think that by this App if worked on further, being on the global App stores accessible by millions of users stands a chance of Promoting the Ugandan tourism sector and attracting more visitors to the country. This App has a wealth of information about birds in Uganda potentially attracting more tourists and boosting the economy. However, the Apps disappoints with lack of critical features that would otherwise make the app accomplish what it is intended to. For that the App scores 3/5 score.